Tinuku ~ Swedish carmaker Volvo will produce only electric or hybrid cars by 2019. Volvo Cars president and CEO Håkan Samuelsson said the overall electrification decision was taken in response to consumer demand. This strategic move makes Volvo as the first major car company to remove all production of oil-fueled engines. "It's about customers.The people are increasingly demanding electric cars and we want to respond to current and future customer needs.This announcement marks the end of an oil fueled car," said Samuelsson. 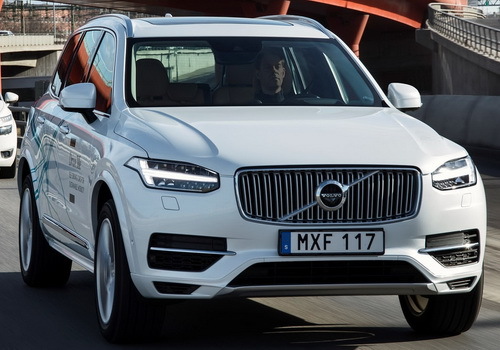 Volvo's decision came also based on the German government's decision to ban gasoline-powered cars from sales by 2030. This political move is definitely underlying the rules throughout the EU. Samuelsson said producers who are still producing internal combustion engines will get into trouble in the future. "We will meet the requirements in the EU until 2020. But we believe the future is getting unfriendly with internal combustion engines," said Samuelsson. The Volvo Cars plan will be realized by launching five new electric cars between 2019 and 2021. They are currently selling several plug-in hybrid models, not all-electric vehicles that appear to be behind other manufacturers in the innovation competition. Tesla is the only car manufacturer most ready to compete, Elon Musk launched its first car in 2008. Jaguar, Volkswagen, BMW and Nissan are among the companies that have released 100 percent of the electric model. Volvo also plans to have autonomous vehicles ready by 2020, although Volvo Australia's managing director, Kevin McCann, recently told ABC that the system to recognize kangaroos proved to be a challenge.